The 2016 Honda CR-V is available now at Brilliance Honda of Crystal Lake. This efficient, smartly designed crossover offers competitive fuel economy figures, exceptional safety scores, and a long list of standard equipment. Learn more about the base LX trim level before taking it for a test drive in the Elgin and Crystal Lake, IL area! The 2016 Honda CR-V LX uses a standard 2.4L four-cylinder engine that generates a peak power output of 185 hp and 181 lb-ft of torque. Every version of the Honda CR-V uses this engine, along with a continuously variable transmission. The CR-V LX is offered in both front-wheel drive and all-wheel drive. With front-wheel drive, the CR-V is rated at 26 mpg city/33 mpg highway/29 mpg combined* by the EPA, while all-wheel drive reduces those figures to a still excellent 25 mpg city/31 mpg highway/27 mpg combined. All of those numbers are competitive in the compact crossover segment. These features have helped earn it the best possible five-star overall crash test safety rating from the National Highway Traffic Safety Administration**. 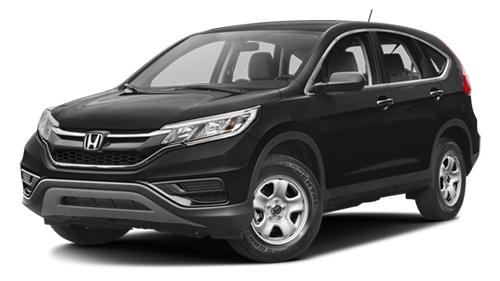 You can find the 2016 Honda CR-V here at Brilliance Honda of Crystal Lake today. We’re located at 680 W. Terra Cotta Ave. in Crystal Lake, IL, just a short drive from Elgin, and we have all CR-V trims in stock now!